A Rhode Island man is being held without bail after police said he used GPS tracking devices to stalk his ex-girlfriend. A Rhode Island man is being held without bail after being accused of stalking his ex-girlfriend and breaking into the schools that she works in. Tu Le, 43, of Woonsocket is accused of using GPS tracking devices on the woman's car and breaking into two schools. Police say Le was caught by custodians and on surveillance video multiple times over the past few weeks sneaking into the middle school and high school after hours. “She just wanted him to leave her alone, however the defendant was unable to control his behaviors,” assistant district attorney Natasha Azevedo said. Le is a medical researcher at Brown University School of Medicine. 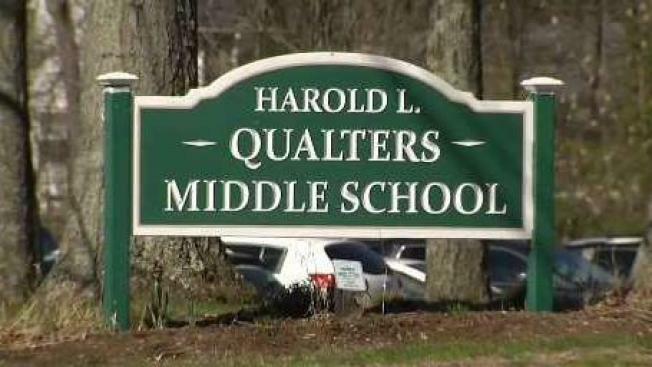 His ex-girlfriend is a teacher at Qualters Middle School in Mansfield. “The defendant displayed a pattern of harassing behavior,” Azevedo said. Prosecutors say Le also followed his ex-girlfriend while she was hanging out with friends and even confronted her on dates. Le's ex-girlfriend eventually found three GPS tracking devices on her car and turned them over to police. “They decide to take that GPS tracking device and go to a location to see if the defendant will show up,” said Azevedo. The device allegedly led Le to this Red Roof Inn, where he was arrested Saturday. Police found that Le did have a record showing an eerily similar stalking allegation. Defense attorneys argued that that lifetime restraining order, although rare, showed their client would respect a similar order in this case. Le is due back in court April 30.